We couldn’t be more humbled and proud to see a shared vision for the Toledo Warehouse District go from well-intentioned idea to reality and get to see Hensville grow into what it has become today. 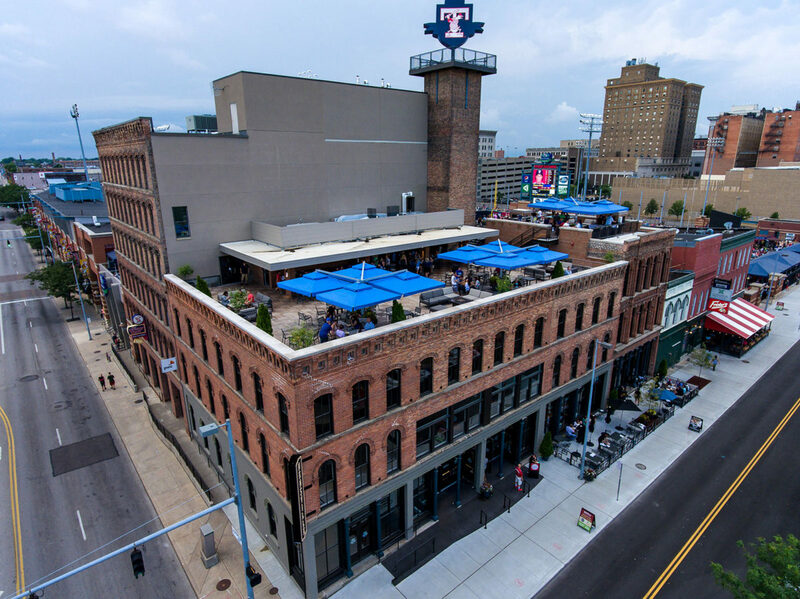 We’d like to thank The Toledo Hud Hens and The Lathrop Company for the opportunity to work together to bring about positive change to an area of Downtown Toledo, and we hope that Hensville continues to represent the possibilities for the revival to Downtown Toledo! It is always a gratifying experience to see our peers acknowledge our design intent, especially when we couldn’t have said it any better ourselves. Thanks again to The Toledo Mud Hens for making the investment in our community. We’d also like to congratulate our peers who won awards at the 2017 AIA Toledo Design Awards.